The comparison between the structure of Latin and that of Romanian versus Romanian and other Romance varieties highlights the many differences in grammar (phonetics, morphology, syntax and lexicon) between the different language. We can discuss this from a synchronic point of view. The history of the Romanian language mimics that of Latin spoken in the eastern part of the Roman Empire. Following the development and the future of the Latin East in its internal evolutions and in its contacts with other languages (Slavic, Hungarian, Turkish, substrate, etc. …), since its installation in the territories Carpatho-Danubian-ponto. The Romanian language, isolated from the southern Slavs (Bulgarians and Serbs) in the Balkan peninsula and Hungarians in Pannonia, remained outside the sphere of influence of Latin language. As the language of culture, the Romanian language has had an evolution different from all other Western Romance languages. The percentage of Latin words entering the Slavic, Turkish, Byzantine,Neo-Hellenic, Hungarian, and Albanian languages rose over centuries. Especially after the seventh century, when Latin was still the official language of the ancient Dacia, colonized by the Romans in the first century. According to statistics, the Romanian language owns 75% of Latin elements, all commonly spoken and written. The evolution of Latin brought in by the Dacia and Danube provinces of the Roman Empire is due to a number of linguistic (substrate, superstrate, adstrato) and extralinguistic factors (geographical, historical, social, economic, level of civilization and culture). It can be said that of all the Romance languages, Romanian has developed more naturally. In fact, it‘s rather popular because it was not interrupted in its development from a classical literature in the strict sense. This explains, among other things, the fact that this language possesses a significant amount of vocabulary and Latin that doesn‘t exist in other romance languages. The territory inhabited by Romanians is always a meeting point between East and West, between the Baltic and the Mediterranean. From here, Romanians encountered different cultures during their migration from east to west, or north to south. The Romanian has taken a number of lexical items from neighboring peoples and established territorries. In any case, the foreign influences, though numerous, have not changed the essence of romance in the Romanian language. There is no doubt that the biggest detectable difference between Latin and Romanian is that you have the whole complex and layered phenomena and developments occurring as distant from each other as they accumulate. Romanian isthe result of all the changes undergone by the Latin east (or Balkan or Danubian), making it difficult to determine the historical moment Latin developed into Romanian. It‘s thought to have developed in the course of the fifth and sixth centuries. During the seventh and eighth centuries, the population of the Romanian language had been in contact and influenced by their Slav neighbors. Turkish and Greek words have entered the language during the Turkish rule, from 1711 to 1821. However, the essential character of the Romanian Latin has survived despite a long period of isolation from other Western Romance languages. Scientists do not yet agree on how to classify the dialects of Romanian. Some argue that the variants that have been traditionally considered dialects – ie, Megleno Romanian Ister Romanian and Aromanian – should now be considered separate languages. Some of the various dialects, while not immediately mutually intelligible, can be understood with fatigue. … represented by the ‘Letter of Neacşu’.It is a message sent by Neacşu Lupu, a merchant named Câmpulung, Johannes Benkner, and the Prince of Brasov, containing a warning about an imminent Turkish invasion of Transylvania and Wallachia. An analysis of the letter indicated Slavic, given the many centuries of close contact with these people, although the Latin roots in the language used in the letter are apparent. The expressiveness of the Romanian language in the ‘Letter of Neacşu’ is clear, concise, and fluent due to the Latin elements. The words of Latin origin, according to some linguists, account for 92.31% of the total words, with an absolute frequency of 89.47%. Among the 112 text units, 67 words of Latin origin can also be found in seven other Romance languages. The Romanian borrowed from the vocabulary of the Slavic languages mainly surrounding the terms of the religious sphere. It must take a leap of more than two hundred years to find an additional finding: an inscription in the Aromanian language (or macedoromeno) of 1731. 1780 was the year of publication of the first edition of the Elementa linguae Daco-sive romanae valachicae Samuil Micu-Klein and Gheorghe Sincai, marked the beginning of a long period of reform. The purpose of which was distinguish the language as much as possible from Cyrillic. 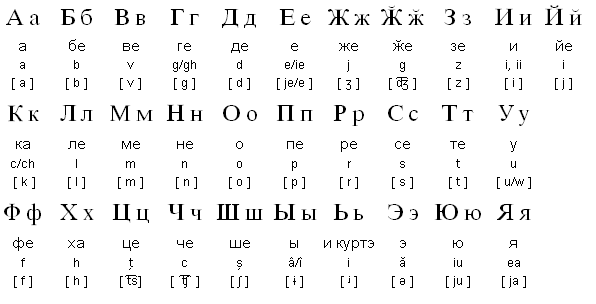 The Cyrillic alphabet was replaced by the Latin one, which although enriched contained a number of diacritical marks. Latin was soon abandoned in favor of Italian and French; from these two languagestens of thousands of words were recruited. Romanian, as you know it today, originates from that linguistic reform,aimed at forcing the Latin element in the name of romantic parallel arguments about the origins of the Romanian people. In areas such as Transylvania, those arguments were most established and spread programmatically.In response to aneed overcome an inferiority complex towards historic Hungarian rulers. This premodern period lasted until 1840, the publication year of the magazine program Dacia Literar ă, with which the writer and prominent politician Mihail Kogălniceanu invited the writers of the ‘young’ Romanian literature to the production of original literature and inspiration. The modern period, from 1840 to 1880, is marked by a time of change and the assertion of the writers of the generation quarantottista (ie who live and act at the turn of the revolutionary movements of 1848), such as Nicolae Bălcescu or the aforementioned Mihail Kogălniceanu. Intellectuals and writers, especially in Transylvania, embraced the culture and Western languages, in an attempt to purge the Romanian language of the Slavic elements. During this period the first grammar rules are written in Romanian, dating from the first translations of Western literature. 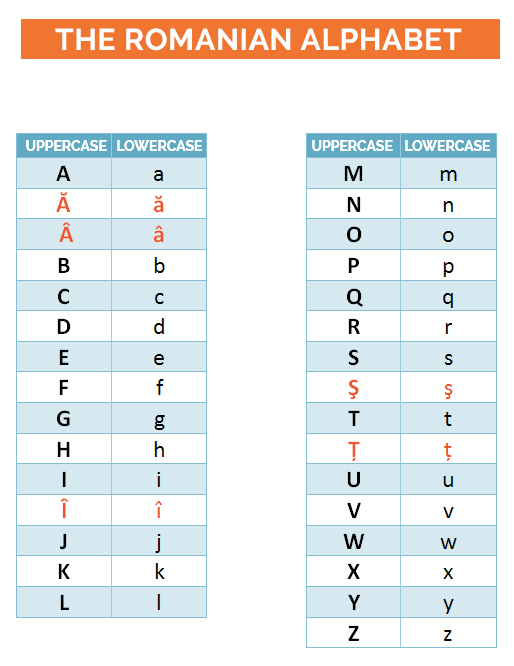 The use of the Latin alphabet became the standard. This trend has continued through the unification of the country in 1859, and survives to this day at the Academy of the Romanian language, which has assumed responsibility for the “Latinization” of the language since 1940. The neologisms, for example, are generally not included unchanged in the language, as an attempt to unify the grammatical gender and number. The contemporary period of the historical path of the Romanian language begins in 1880, with theinsignia of the three crowns Romanian poet Mihai Eminescu, the storyteller Ion Creangă; and the playwright Ion Luca Caragiale. Romanian has a particular grammar and differs from the other Romance languages (Western Romance). The definite article is put at the end of the word to articulate. In addition, Romanian has the distinction of providing the use of the definite article after the name. In Romanian there are variations in the cases Dative, Genitive and Salutation, different shapes for the Nominative and Accusative. Romanian has eight verbal modes: indicative, subjunctive, imperative, conditional, gerund, participle, supine and infinite. The verbs are divided into four conjugations:-a,-ea,-e,-i. The infinitive form of the verb with the particle “to”, placed before the verb. The order of the words in the sentence is subject-verb-object, although it also occurs object-verb-subject. Romanian uses the Latin alphabet which was established in 1859 . Prior to this they used the Cyrillic alphabet introduced by the Church Slavonic, the language used in religious texts. The Romanian alphabet contains 21 letters and is composed of 5 vowels and 16 consonants, of which, include 5 letters (3 vowels and 2 consonants) and 5 letters with diacritics borrowed from other languages: J, K, W, X, Y. The accent may fall on any syllable. By varying the tonic syllable, one can change the meaning. The Cyrillic alphabet continues to be used in parallel with the Latin alphabet for Moldovan, which is considered a separate language largely for political reasons. Romanian is the national language of România , where it‘s the first language of more than 90 percent of the population. România, however, is also home to a large ethnic Hungarian minority as well as Germans, the people of Roma, Turks, Tatars and other minorities . The Romanian language is used in all spheres of life. The education of all grades, up to university level, is in Romanian.Although there are schools in for minorities that use Hungarian and German. In 1990, 1,700 magazines and newspapers were published, the vast majority of them in Romanian. 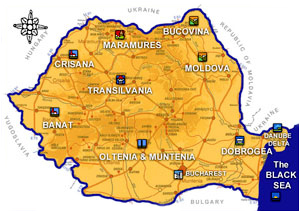 Romanian has several subdialects, but none of them are the same as the official language. more closely resembles the official language. The main difference is the disappearance of the letter “i” in the article. It‘s spoken in the historical regions of Muntenia and Dobrogea. spoken in the region of Oltenia. The difference with the speech of Muntenia is the use of the past tense instead of the past tense. spoken in the Banat region. The main feature is the replacement of the “t” with the “c” (as in “cer” − heaven). differentiates from the official language. It‘s spoken in the regions of Moldova and Bessarabia (now the Republic of Moldova). The special features are the pronunciation of the “ci” as “şi”: ce faci -> şi faci (what do you do); “e” becomes “i” bine -> bini; the group “pi” becomes “chi”: spinare -> schinare (back). General Assembly decision of the Romanian Academy of 17/02/1993 concerning the return to the use of the “â” and “sunt” in the spelling of the Romanian language. Academic grammar of the Romanian, Gabriela Pană Dindelegan. What does the new DOOM? Romanian is not only the national language of Romania, but also the Republic of Moldova (or Moldovia) since 1991. In 1812, Moldova, formerly part of the Principality of Moldavia, became part of the Russian Empire.Following the dissolution of this, in 1918 it became part of Romania to form the historical Moldavia. In 1940, it wasannexed by the Soviet Union and underwent several hardships during the Second World War. From 1944 to 1991, Moldova was one of the Soviet Socialist Republics. On 27 August 1991, Moldovadeclared its independence from the Soviet Union. From 1924 onwards, under Soviet rule, Romanian was imposed as the official language,distinguished from the Moldovan Romanian by the use of the Cyrillic alphabet instead of Latin. This is because Romania was not part of the USSR, and the people of the confederation lacked Romance linguistic and national identity. The “Moldovan language” can then be written in both the Latin alphabet (as is the case in the Republic of Moldova) and in the Cyrillic alphabet adapted, as used in Transnistria, Ukraine as well as in the Soviet Socialist Republic of Moldova until 1989. Since 1991, the official language, according to Article 13 of the Constitution, is equal to the Moldovan Romanian language. This choice would mark a radical departure from the Soviet world and a return to the origins of the Romance languages. The second language, unofficially (except in the breakaway region of Transnistria) used in “ethnic relations” and commonly within the population, is the Russian language. The Moldovan language (limba moldovenească or moldovenească română) is the official name that is given to the standard Romanian language in the Republic of Moldova. The definition of “Moldovan language”, as a separate language from Romanian language, is now the subject of controversy . The creation of separate linguistic identities was, in fact, promoted at the time by the Soviet government to emphasize the differences within. Romania. Further emphasizing the influence of literary and linguistic Russian on “Moldovan language”. Many Romanian academics, such as Movileanu and Negru Rosetti, do not consider Moldovan a language, but a simple dialect akin to the Moldovan dialect of the north-eastern part of România. Documents issued before 1991 are then compiled with the Cyrillic alphabet. A curiosity : one of the two national holidays dedicated to the language, “our language”‘, is celebrated on August 31; the other national holiday is August 27: “Independence Day”.